In 2014, I remember distinctly thinking "This industry is either the beginning of a major technology revolution, or the biggest techno-fad in history." R3's ostensible goal at that time? To investigate this "blockchain" technology for banks and other financial institutions that didn't want to get their hands dirty. “Banks are strictly regulated. Because of this, every serious bank has a powerful legal department, and every bank action is approved in there. Cryptocurrency, instead, is “terra incognita”, something that seems to have some relationship to money, but it is not safe for a bank to treat, and nobody knows what benefit the blockchain can bring to banks yet. This seems like a very accurate assessment of R3's business model. They hired developers. They designed... something. I'm sure they needed some "legitimate street credibility" at the time, and it probably seemed like the fastest way to get there: R3 ended up hiring Mike Hearn in November 2015, one of the original Bitcoin Core developers, for an undisclosed sum of money in the midst of one of the hottest markets for blockchain tech know-how. "But despite knowing that Bitcoin could fail all along, the now inescapable conclusion that it has failed still saddens me greatly. The fundamentals are broken and whatever happens to the price in the short term, the long term trend should probably be downwards. I will no longer be taking part in Bitcoin development and have sold all my coins." I'm not sure just what would qualify as "short term" from his perspective, but when he wrote his blog entry, the price of Bitcoins was around $385. Don't get me wrong - I could have very well made the same conclusion as Mike Hearn; but the difference is that I'm wise enough to know that crypto can surprise even the most clever of developers or technical analysts. Mike Hearn was a famous hire by R3, and the other team members have a variety of solid credentials as well, but the mix of talent is a question that I've never seen answered anywhere - i.e., what is the mix of "developer / architects" to "business" positions? What Did the R3 Team Build, Exactly? Very simple: It implies that all banks and FIs would "get on the Corda bandwagon" and start interacting over one global ledger. This is a gross error in business and design judgement. While it's clear that the team was very enamored with Ethereum, and the Corda platform supports distributed applications, to assume that all banks and FIs would use the same ledger? That speaks of a profound lack of vision. While Ripple certainly prefers banks and FIs to use its XRP Ledger, there is no requirement to do so. Its solutions are built assuming that banks and financial institutions - as well as large corporates - will want to keep their own ledgers. 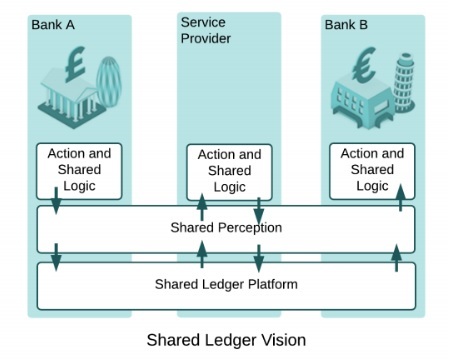 The Interledger protocol (ILP) allows the sharing of payment data between disparate networks and ledgers. It makes no assumption that another bank or FI will be "on the XRP Ledger." Yes, being on the same global ledger provides interesting opportunities; but in my view Corda may be a solution looking for a problem. 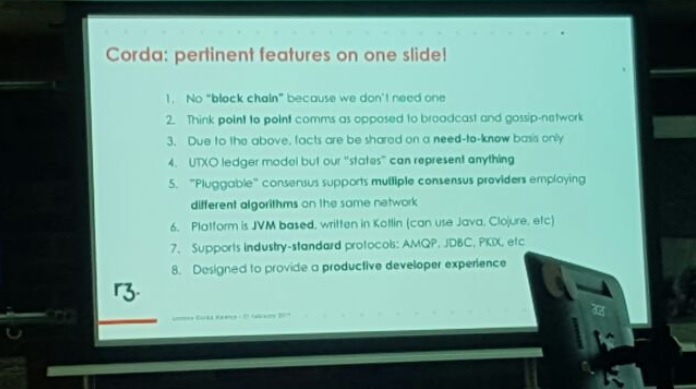 Corda is not yet in production, 8 although the team has released some of the open-source code on GitHub. The R3 business team sought to capitalize on private industry's thirst for blockchain technology by offering development of a platform that offered some of the capabilities that business executives were hearing about through mainstream news sources; distributed applications were all the rage, and the term "blockchain" carried with it the promise of the latest technology and opportunities. I'm sure some executives were thinking back to the internet revolution, and didn't want to be caught flat-footed. And so R3 signed them up. In March of 2016, R3 announced that it had completed a trial of Corda. This would be the apex of R3's consortium member list in 2016. By this time, it probably became evident to Ripple that Corda might not compete directly with them (or shouldn't). Corda was a distributed ledger - and distributed application - company at this point. While Ripple also offers a distributed ledger, their focus has been replacing the back-end payment rails for international payment settlement. Could Ripple compete with Corda in the future? Absolutely. If Codius (Ripple's smart contract platform) is rebooted and developed further, it could offer competition to Ethereum and Corda - as well as TEZOS, NEO, and others. But Ripple was pragmatic. They saw R3 making progress, and if enough banks jumped onto the Corda platform, then perhaps they should team up and make certain that those same banks could use an ILP plugin or other Ripple technology to settle their smart contracts using Ripple payment rails. So they met with R3 and the two parties signed a few agreements and contracts, whereby R3 would provide access to its network of banks on Corda, and Ripple would provide liquidity for R3 in the form of XRP, the native digital asset on the XRP Ledger. In September when the two parties formed the agreement, the average price of XRP was hovering around seven-tenths of a cent for XRP. Remember that this was before all of crypto went through a "demand storm" in early 2017. Ripple agreed to give R3 an option to purchase up to 5 billion XRP for a 30% premium, up to three years in the future, if they fulfilled their end of the bargain. As part of the option contract, R3 would be subject to strict anti-reselling provisions; this meant that even though they might purchase 5 billion, they were restricted on how much they could sell per unit of time. The first line reads "No 'block chain' because we don't need one." In response, R3 claimed that it was just semantics, and that blockchains are only specific to processing virtual currency transactions. Corda doesn't use any native virtual currency. Say what you want - positive or negative - about Corda, the R3 team does one thing very well; fundraising. Despite the fact that Corda has never seen a production release as of the date of this writing, the R3 team has managed to raise enormous sums of money. In May of 2017, Ripple took steps to re-assure XRP investors that they would lock up their treasury portion of XRP holdings in an escrow on the XRP Ledger. 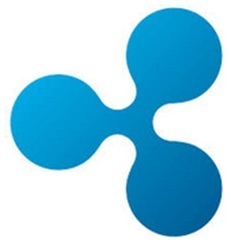 19 The announcement was well-received, but some questioned why Ripple chose to withhold five billion from the escrow amount. 20 It was a mystery at the time, even for XRP investors and followers. It turns out there was a reason. At that point, Ripple had not yet tried to cancel their previous years' agreement with R3, and were forced to announce a smaller amount - 55 billion XRP - for the escrow lock-up. This would provide enough XRP - just in case - something went wrong with cancelling the outstanding options contract with R3. Ripple knew that the fallout of the lawsuit would include details of the agreement becoming known to the public, including XRP investors. It was a large amount of XRP. And while investors can deduce from the lockup that no other sizable chunk is outstanding, it still brought up concerns about R3 and the outcome of any court proceeding. After all, what if R3 wins the court case? "Important to note: R3’s agreement was subject to sales restrictions of 50bps of daily volume on the XRP Ledger." 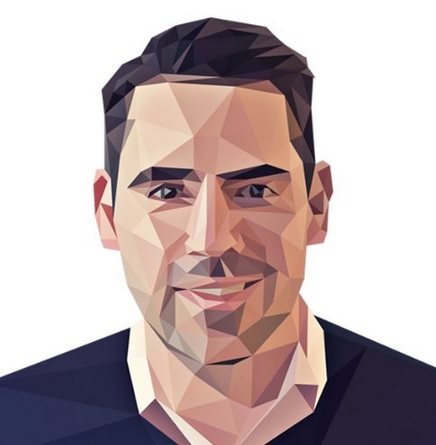 "As a partner, R3 failed to deliver in many respects - we think the Courts will agree R3 is not entitled to the XRP they are claiming." The filing maintains that R3 misrepresented the membership of its consortium during the negotiation phase. Shortly after the agreement was struck, several major financial institutions–including Goldman Sachs and JP Morgan–exited the consortium. The complaint argues that R3 must have been aware of the departures yet hid this during the agreement negotiations. Despite offering assurances that R3 desired to commercialized the partnership, the filing also claims that R3 reneged on its partnership obligations by declining to promote Ripple and even publicly-disparaging XRP in front of its consortium members. Meanwhile, R3 devoted its entire attention to its own fundraising and claimed to be completely unaware of the state of XRP long after the partnership had begun. The blockchain industry reminds me of the Internet revolution in the dot com era; the technical promise of its innovations draws in businesses and capital from all corners of the world stage, and sometimes this results in technology companies that truly offer something new and value added. Think Google, Amazon. Ripple. In addition, however, when an industry is so white-hot, a different sort of person - the opportunist - emerges as well. This person is great at selling, and can sometimes put together a team that can create an imitation of a greater technology or solution, but it will never be a market leader or true innovator. This is how I see R3. They are building on the backs of their betters, and Corda, even if it delivers on all of its promises, seems like a shallow attempt to copy the concepts of Ethereum or Hyperledger. Some banks will remain a part of their consortium, but this highly-publicized grab at Ripple's XRP will come back to haunt them in ways that they are probably only now taking into account.